Parker Classic fountain pen with the triangular nib. Matte black with gold trim. Near mint condition, new old stock. Fine nib. With converter. Manufacturer and Year Parker, USA. This color/model was produced 1990-94 (The date code on the cap is IIIQ indicating it was made in 1990). Filling System This takes Parker cartridges, and it comes fitted with a converter. 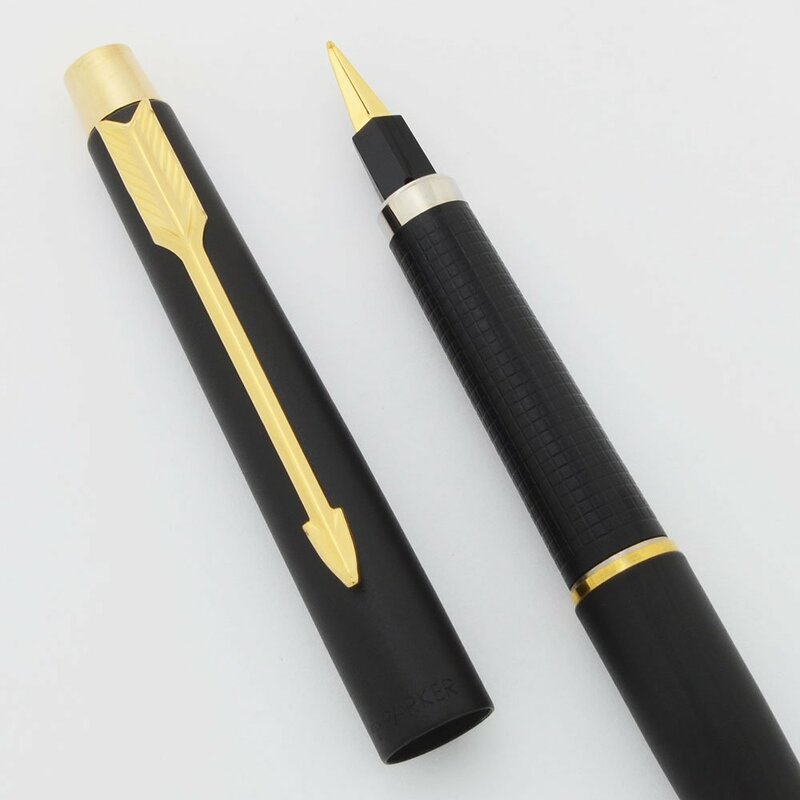 Nib Gold plated triangular share nib similar to the Parker 180. It is marked "F" for fine on the nib feed. It is not reversable. Condition New old stock condition. Otherwise, no scratches, dents, cracks, dings, or personalization. The imprints are clear. The pen is sleek and elegant.